Received Thursday, 18 April 2013 11:23 a.m.
With the DCC’s Resource Consent panel now sitting on its evidence, the full Council prevented from commenting on the proposal, and Dunedin ironically about to indulge in a celebration of its invaluable built heritage, isn’t it time a few things were clarified for the Dunedin public ? Time for a few truths to be told, instead of the shamefully dishonest propaganda from the promoters of the Wharf Street Hotel ? Let’s start with the promotional video released on May 11, 2012 and voiced on behalf of his clients by Steve Rodgers of “Betterways Advisory”. This sophisticated promo is a must-watch for all Dunedin residents, because within its 3 minute 49 second running time they will discover a Dunedin totally unlike the one they know: this is a fantasy Dunedin, whose tranquil waterfront bears no resemblance whatever to the facts. It is neat and orderly, blessed with open park spaces, and tied to its wharfs are luxury yachts and container ships. Rows of new, unrecognisable buildings have miraculously appeared behind every view of the towering glass monolith, and as the CGI camera sweeps across this fictional CBD towards the Stadium (curiously glimpsed only from overhead) and down its oddly-scaled roadways citizens will puzzle to identify any of the many buildings occupying the land in the vicinity of the Railway Station. Perhaps the developers have bolder plans than a single hotel ? Certainly the Dunedin presented in this video sales pitch is not today’s city. It’s a scrubbed up, redesigned, blatantly re-scaled quasi-Auckland Viaduct vision in which the hideous proportions of the hotel appear more comfortable and the truth is deliberately ignored. As you watch, hit the Pause button at 33 seconds, at 53, at 1.14, at 1.21, at 1.39, at 2.22….. what ARE those buildings ? Where did they come from ? Have I been asleep these last decades ? Am I in the right city here ? Would someone please be honest here ? Having extolled the virtues of the city’s marvellous heritage buildings, and noting that they are one of the major reasons why “tourists love this city”, Mr Rodgers proceeds to extol the virtues of “my clients’ grand design”, which so brutally desecrates that heritage. Who are these visionary clients, so hellbent on bestowing gifts ? We are slowly learning: the “Otago Businesswoman” behind the proposal is an ex-accountant locally, now consultant and wine promoter living in Queenstown. Ms Song has the good fortune to be married to Ping Cao, reportedly “one of China’s top construction company owners”. That marriage, incidentally, took place in another New Zealand city with which she reported fell instantly in love: Nelson. No “gifts” for Nelson, however. How fickle is love. Being pushed forward now as the public face of the project, Ms Song’s repeated professions of love for Dunedin are no substitute for expertise, or indeed sensitivity. It is evident she and her entrepreneur husband belong to the camp which believes Dunedin’s Victorian and Edwardian built heritage has less appeal than the monstrously ugly Dunedin Stadium, and that they anticipate a brighter future for the city when more of the same charmless, cheap, dated design has overwhelmed the city’s essential historic character. Anonymous commented here (18.3.13) on the likelihood of the proposed tower apartments being pitched to students from China. In short, proposed apartments intended as ‘university college’ atop a cheapish 5-star hotel. Artist Grahame Sydney comes to the same conclusion. An (unpublished) opinion piece he sends to DScene leads reporter Wilma McCorkindale to engage Betterways owner, (note) Steve Rodgers. We’d like Sydney to publish his full article ‘Heartbreak Hotel’ at What if? – since DScene and Southland Times only reference the item, fleetingly. Too hot to handle? So Grahame, if you’re reading this . . .
Apartments in the proposed hotel for Dunedin’s waterfront could end up being occupied by Chinese students – or anybody else who wants them – project spokesman solicitor Steve Rodgers says. Rodgers fronts for Betterways Advisory, a company owned by Chinese woman Jing Song*, which is proposing to build the 28-storey, five-star Dunedin Hotel on an industrial site a stone’s throw from the city’s inner harbour. This week he defended scathing commentary about the project, levelled by Otago artist Grahame Sydney. In an article called Heartbreak Hotel sent to DScene, Sydney voiced several concerns, many already played out during a recent consent hearing – including the hotel’s ability to achieve economically viable occupancy rates. Sydney believed Betterways was targeting the lucrative international student market, specifically Chinese students, by including 164 apartments in the project. Sydney also complained that a promotional video illustrating the hotel concept deliberately excluded surrounding heritage buildings in its visuals. The impact on heritage values in the city was one of the major concerns raised in submissions. *What if? notes the New Zealand Companies Office register entry for Betterways Advisory Ltd (3142026) lists Stephen Rodgers as the sole director, with LMW Trust Limited (3141813) as the shareholder. Jing Song isn’t mentioned in connection with either entity. CHONGQING, Jan. 27 (Xinhua) — Chongqing’s municipal government vowed Saturday it would shake off the impacts of the Bo Xilai scandal and make law-abiding governance the priority alongside further reform. Huang Qifan, mayor of the metropolis in southwest China, described 2012 as an “extremely extraordinary year” for Chongqing’s development in his report on the work of the municipal government, which was delivered to the 4th Chongqing Municipal People’s Congress. The local legislature convened its annual session on Saturday with aims to outline the city’s future blueprint for the next five years. The mayor said the government has endeavoured to maintain steady economical and social development despite the severe toll of the incidents involving Bo Xilai, with the city recording an annual economic growth of 13.6 percent. 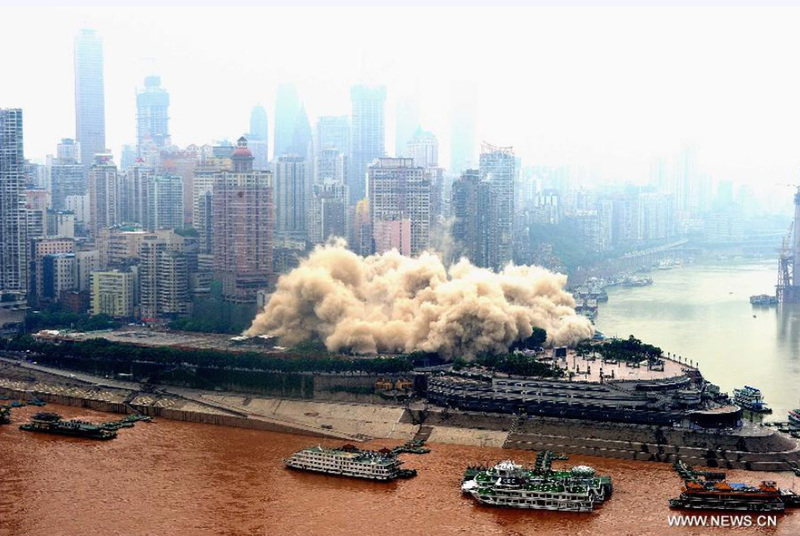 “It turned out that Chongqing citizens have weathered storms and withstood ordeals,” he said. The government published the full text of its work report, in which it placed governing in accordance with the Constitution and the law as a main focus for this year, while references to Chongqing’s previous high-profile crackdowns on organised crimes are notably absent. In 2009, when Bo Xilai was the CPC (Communist Party of China) chief of Chongqing, the city launched a massive anti-crime campaign, prioritising fighting local mafia-style gangs. Though Bo and Chongqing’s police were credited with reducing crime, concerns were raised about abuses of power and the neglect of due legal process. The government should rule in accordance with the law, and “no organisation or individual has the privilege to overstep the Constitution and the law,” the work report said. A power reshuffle in this session is set to usher in new local leaders, higher requirements are posed for the municipal government to further intensify reform, Huang told the lawmakers, adding that improvement to work style should be made following the central leadership’s call for eradicating bureaucracy and formalism in December. Officials in Chongqing are urged to remain low-key and down to earth, talk less and work more to better serve the people. CHONGQING, China — Wandering around in downtown Chongqing, it is hard to imagine that this is a city that is going green. Vehicles clog roads in every direction. Construction cranes stretch to the horizon. And huge posters displaying locally produced industrial goods show where the city’s exploding economic growth is coming from. But Chongqing (population 28,846,200) is more than meets the eye. After living with acid rain and toxic smog for decades, the city has been scrambling for ways to clean up the air. It is also overhauling its power-hungry economy and rebuilding it on a base of industries that use less energy. 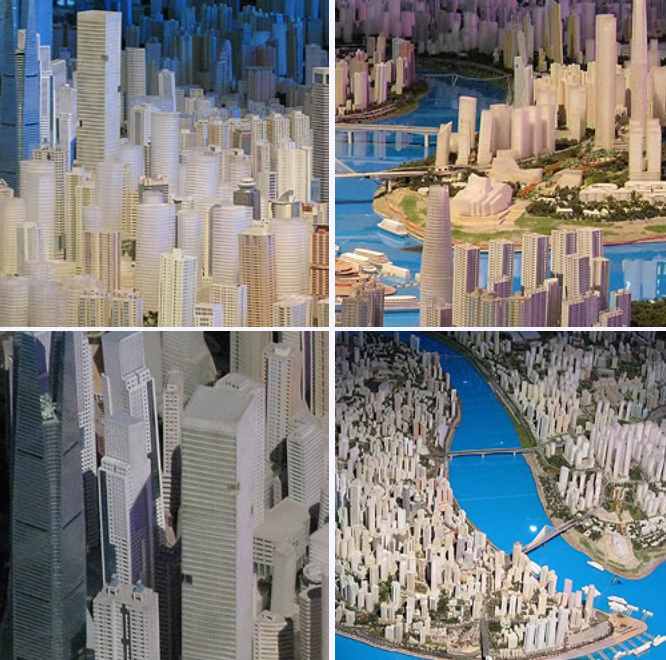 Chongqing isn’t alone on such a transformation path. It is one of several pilot provinces and cities that Chinese leaders picked last year in an attempt to find a low-carbon growth model that can be spread to the rest of the nation. Experts attribute this new Chinese desire to the fact that China’s environment and natural resources can no longer afford the blights of heavily polluting, energy-intensive growth. Moreover, there is growing pressure from the outside world to reduce emissions. Cities will play a major role in that effort. During the next 20 years, more than half of global greenhouse gas emissions are estimated to come from the developing world’s cities, and more than half of that will come from Chinese cities, says Michael Lindfield, a lead urban development specialist at the Asian Development Bank. “So the importance of making Chinese cities energy-efficient is really a global issue, not just a Chinese issue,” Lindfield added. But none of this comes easily. For one, it is hard for cities to uproot decades-old economic foundations. In addition, cities risk revenue losses. Energy-guzzling factories that are shut down, in many cases, can’t be immediately offset by low-carbon industries that are still in their nascent stage. 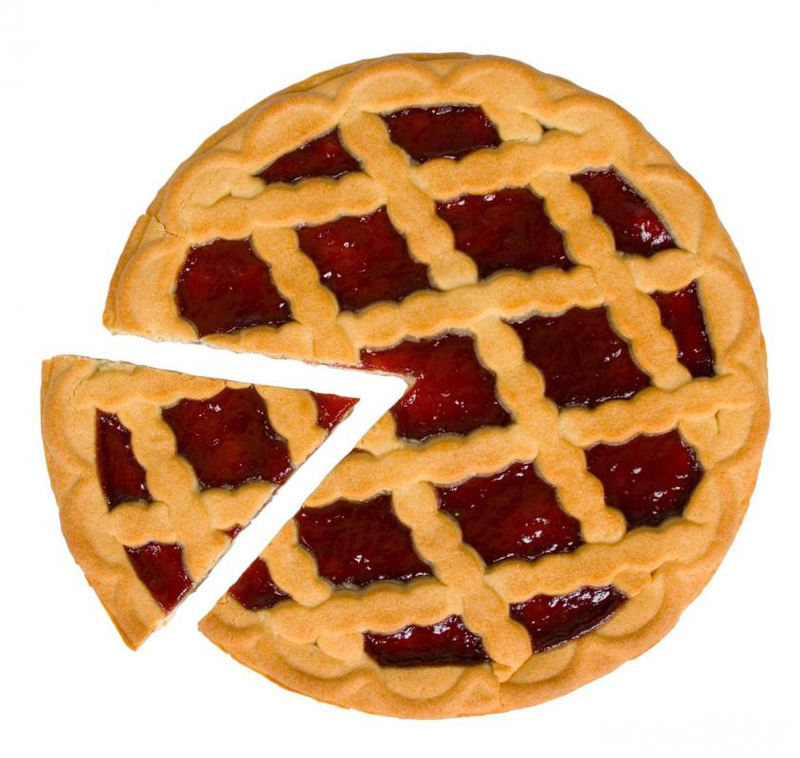 Moreover, the switch from traditional industries to green businesses claims jobs, at least for a short term. While cement makers can hire people with few skills, solar panel producers can’t. 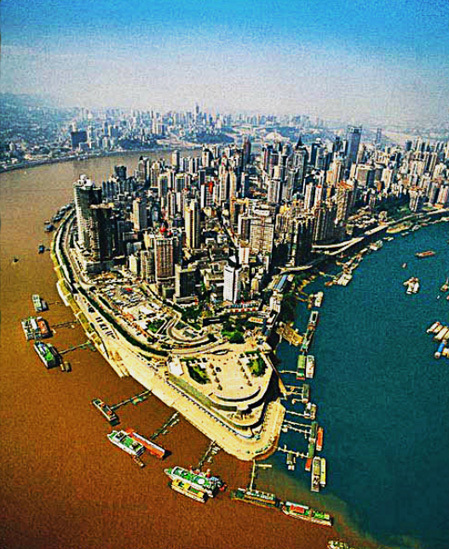 Chongqing [became] one of the nation’s industrial hubs. It is China’s biggest producer of motorcycles. It leads in aluminum production. Every day, containers of made-in-Chongqing steel, chemicals and machinery are loaded on cargo ships and then sent from here to destinations along the Yangtze River. All this came at a heavy price. 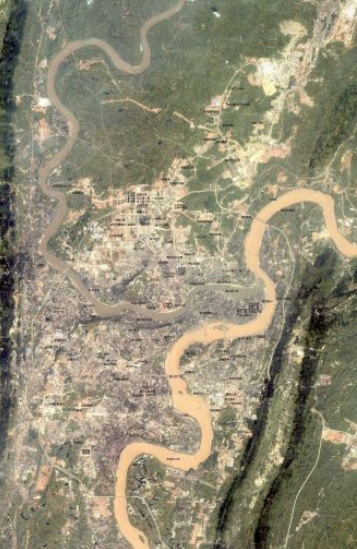 Data from the World Bank showed that in the early 2000s, one-third of crops in the Chongqing area had been damaged by acid rain — the result of sulfur dioxide and other industrial pollutants. Breathing here became a dangerous thing to do. The World Bank reported that in 2004, residents in Chongqing were inhaling six times more lung cancer-causing pollutants than the World Health Organization considers safe. 100 towers taller than 200m including 20 supertalls in one city. [ODT] The project was being advanced on their behalf by Betterways, of which Ms Jing Song was also a director. DUNEDIN — The construction company linked to Dunedin’s proposed $100 million waterfront hotel is building the tallest tower in western China. The building will be the tallest for the time being, at least. It has been confirmed the company linked to Dunedin’s proposed hotel is Diamond Heights Construction Engineering Co Ltd, which is based in Chongqing, China, and employs more than 1000 staff. The company is owned by Ping Cao, who together with wife Jing Song, of Queenstown, wants to build Dunedin’s five-star hotel on industrial land at 41 Wharf St. While it was said Diamond Heights would not be directly involved in construction of Dunedin’s hotel – should consent to proceed be granted – Mr Cao and Ms Song planned to fund it together and contract a New Zealand company to build it. 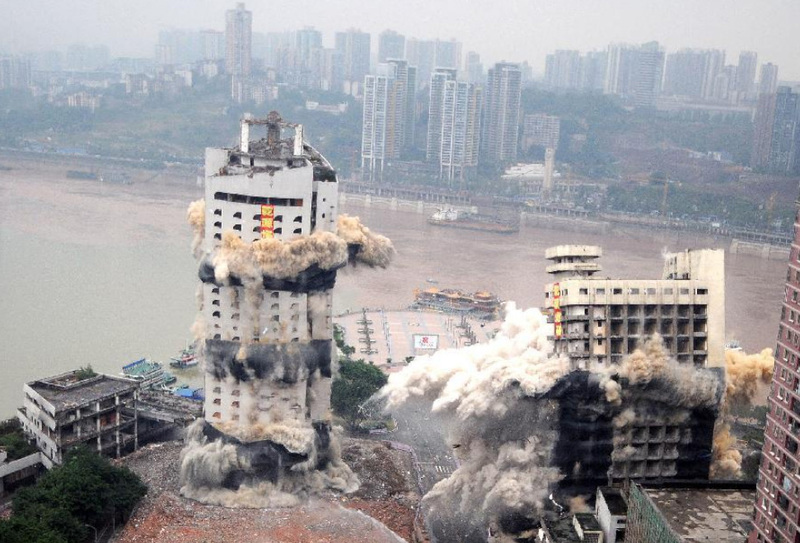 Mr Cao’s company is responsible for the construction of the 65-storey Shangri-la Hotel in Chongqing, which at 290m high will, when completed, be nearly three times the height of Dunedin’s proposed hotel. It was almost finished, with only the exterior cladding to be added, and was an impressive sight when visited by Betterways Advisory Ltd director Steve Rodgers last year, he told the Otago Daily Times. The company was also involved in other projects in China, including two sprawling mixed-use developments comprising hotels, other commercial buildings and housing. Shangri-La Hotels and Resorts is said to be Asia Pacific’s leading luxury hotel group. 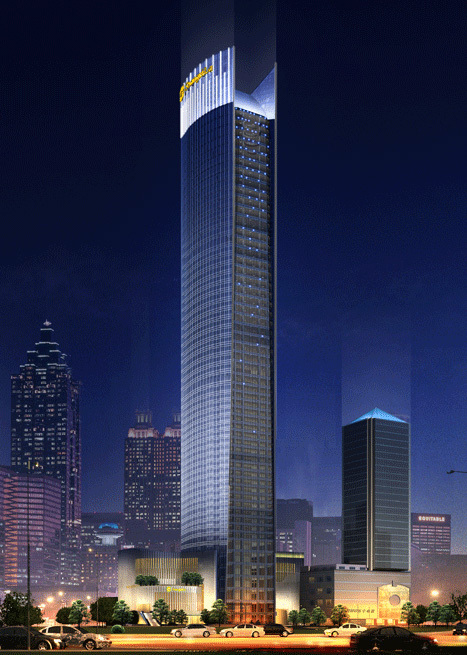 Four Shangri-La hotels are projected for Chongqing. 507 submissions were received following notification of the application, 457 in opposition, 43 in support, and seven were neutral in their stance. How high is 96.300 metres. How rank is the design. How sunk is public access to full assessment of environmental effects (AEE). The Dunedin stadium (named for the company the Commerce Commission recently described as misleading and deceptive in their marketing) has not been tested by a large earthquake or swarm. It stands on land prone to liquefaction. 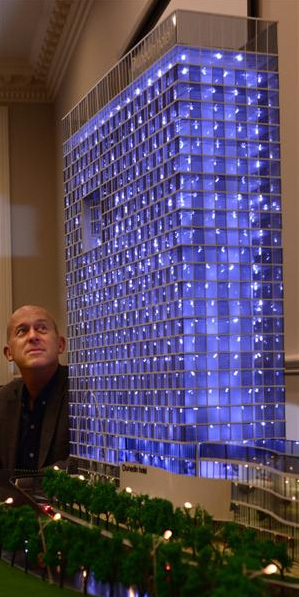 The proposed hotel and apartment complex (28 storeys) – a tall building – will stand on land prone to liquefaction. Is there sense or cents driving this. Offshore bling. The Minister for Tourism, Pokies and Convention Centres is John Key PM. Tourism lives in the second tier economy, mostly, brashly, at Queenstown Lakes. 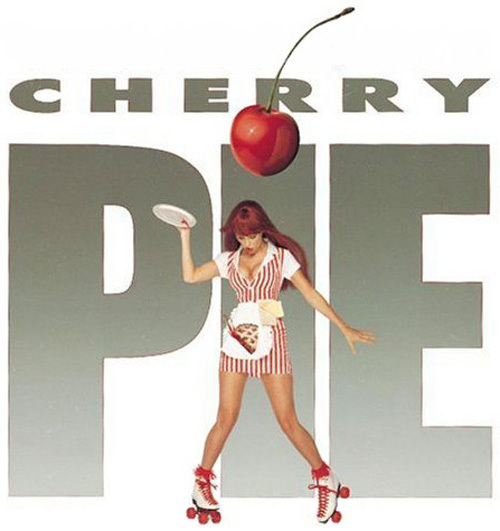 Dark suits of Chamber want some o’ that sweet cherry pie. The committee planned to invite hundreds of submitters to have another say on the new information, before resuming the hotel’s resource consent hearing in March. Plans for a $100 million five-star hotel on Dunedin’s waterfront are to go back to submitters for another round of public consultation. 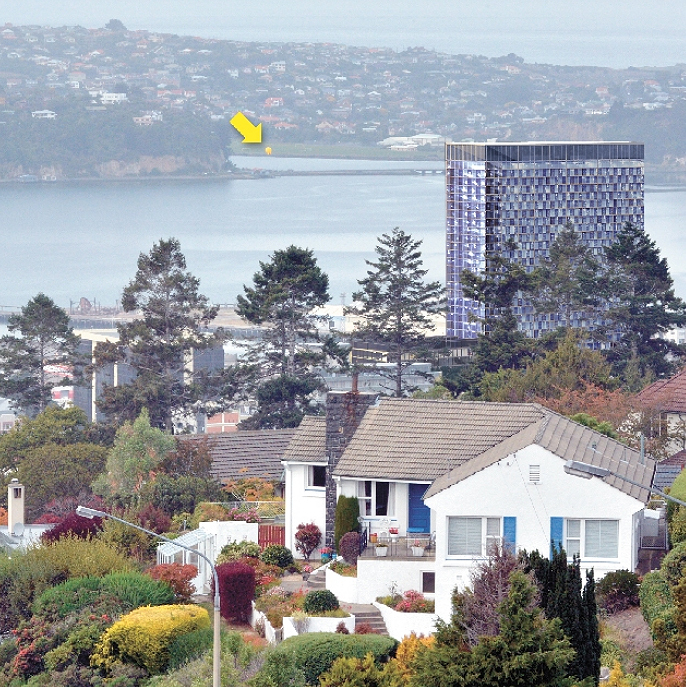 It was confirmed yesterday the Dunedin City Council’s hearings committee has requested more information from Betterways Advisory Ltd, which wants to build the 28-storey hotel and apartment tower. The details were contained in a letter from committee chairman Cr Colin Weatherall to Betterways, dated January 17 and released to the Otago Daily Times by Cr Weatherall yesterday. Betterways director Steve Rodgers said when contacted he was still considering its contents, but was frustrated and concerned by the length of time the consent process was taking. Cr Weatherall’s letter to Betterways said extra information was required for a “proper understanding” of the hotel and its impact on the immediate surroundings and wider environment. ● Betterways Advisory Ltd must physically demonstrate the hotel’s height on site in a way that was visible from across the harbour, perhaps by using a tethered balloon. The applicant has supplied a transverse section of the building proposal showing calibrated basement, podium and tower levels. The building height to top of roof structure is marked on the drawing as 96.300 metres. Last night I took another tour of the Settlers Museum, having been through a month ago while exhibition displays were being populated, before the new foyer was completed. The link to the Chinese Garden has yet to be made at the south end of the old NZRS building. In the museum we have an impressive series of new and refurbished spaces, the reading of which is generally low and long, suited to the narrow site between the railway and State Highway 1, and sympathetic to the immediate historic built environment. Looking out from the museum’s new foyer, which takes evening light amazingly well, across the traffic on SH1, there is old Dunedin Prison (1898), Dunedin Law Courts (1902), Dunbar House (former Dunedin Police Station, c.1895) and Leviathan Hotel (known as ‘Leviathan Railway Temperance Hotel’ when built in 1884). This precinct flows into Anzac Square to the north, with Dunedin Railway Station (1906); lower Stuart Street featuring Law Courts Hotel (Auld Scotland Hotel was established on site in 1863), and Allied Press Building (former Evening Star Building, 1928); The Exchange area (old CBD); and Queens Gardens and the warehouse district to the south. I mention this unique ‘cultural heritage landscape’ of buildings and green space because the impressive large-screen video flyover provided at the museum, as I understand, by Animation Research Ltd (ARL), shows exactly where the proposed 27-storey hotel and apartment block at 41 Wharf Street, if consented and constructed, will deliver significant irreversible adverse effects in the neighbourhood context – including for the Steamer Basin (see cruise operations by MV Tiakina and MV Monarch) and Dunedin Harbourside Historic Area (registered by New Zealand Historic Places Trust in 2008); and the Burlington Street Historic Area (registered in 1994), comprising Burlington St between High St and Moray Place (captures First Church, Burns Hall, Commerce Building, RSA Building, and Garrison Hall). The adverse effects would be entirely due to the unwarranted height and overbearing design of the proposed hotel and apartment block. The effects cannot be mitigated. ARL should be asked to ‘insert’ the offending tower proposal into the museum flyover to gauge public reaction. Alternatively, for no cost, Dunedin residents can walk or drive into the closed-off section of lower Rattray St beside the old level crossing and the Chinese Garden and take a look at the railway lighting tower. This structure is approximately 35 metres in height. Imagine, at this street location, the hotel bearing down on you from 97 metres above. With this height comparison think what happens to your enjoyment of the views, buildings and surroundings, together with your experience of sun and wind (microclimate)… and why for so many years Queen Elizabeth II Square in downtown Auckland was unalterably inhospitable, it was a rare day if anyone enjoyed lingering there before the Britomart Transport Centre was developed. We’re not going to get a Britomart in Dunedin. In terms of urban design, the proposed hotel and apartment tower is going to sever and destroy the sense of place – and your connection with the harbour edge, physically, metaphorically, spiritually, tangibly and intangibly. Without end, without moral or ethical consideration as posed by the application documentation (no footbridge included). And with the hearing committee taking that disingenuous path of wanting more information from the applicant so to tick boxes for consent to be granted. The mayor has been lobbied by Betterways Advisory Ltd and friends; the politics is thick with ‘red carpet’ and promissories… as yet, there’s nothing solid, concrete or foundational in the appearance of the application. Is the city council about to bind us with a badly scribbled note worth $100m. Ode to a mocking tower, at 35 metres. If only it could speak.